A must-have blanket scarf for any outfit! Chantal M. Reviewed by Chantal M.
Love this scarf! Great quality. Matches many outfits and coats. Kaylee R. Reviewed by Kaylee R.
This scarf is super soft and cute pattern. It is pretty big and a little awkward cause I haven’t got used to it yet. Can be worn many different ways. Cozy and warm and goes with almost any outfit. 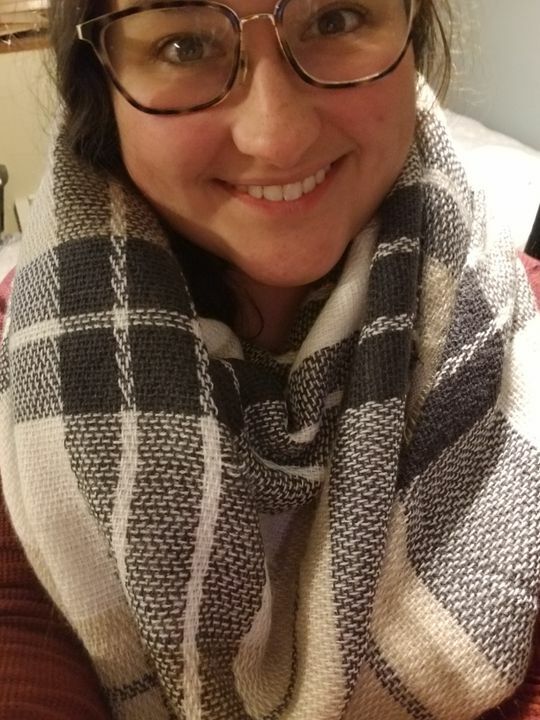 This scarf matches EVERYTHING! I love how neutral it is!